is now a family run business. Established in 1975 by Gary Hutton, G I Hutton (Builders) Ltd started out as a "one man band" working out of a home office in North End. Over the years the business has expanded greatly and is now family run in Black Notley with an annual turnover of £3.5m. To date we have carried out contracts ranging from £2k to £1m. Our projects range from minor alterations/home improvements to new builds, complex restoration works and redevelopments. We are adept at dealing with all planning issues from architects through to local authorities. 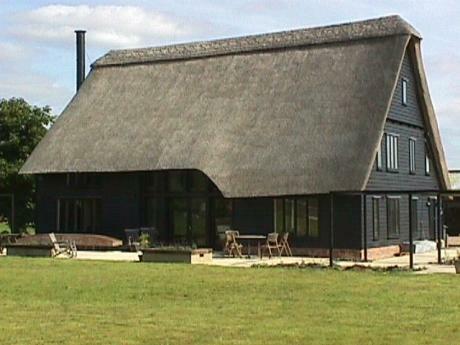 The majority of our work is based in Essex, Herts, Cambridgeshire and Suffolk. However, we do travel further afield. Our 22 strong workforce have many years experience within the building industry, specialising in refurbishment and heritage works. Together their skills incorporate ground works, drainage, sewage treatment plant installation, underpinning, 1st & 2nd fixing, plastering, decorating, traditional oak work, manufacture of bespoke joinery, roofing and many more. We are also able to carry out mechanical and electrical installations. We have our own plant and use the latest high-tech tools and fixings. Our fleet of company vehicles includes 11 vans and 2 lorries. References can be supplied.